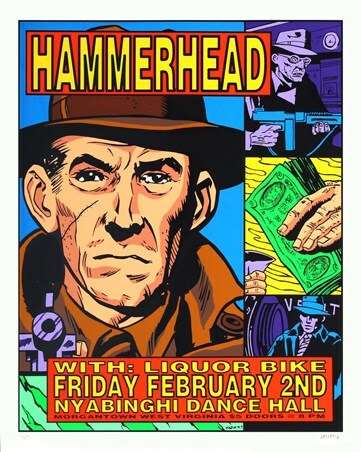 Limited Edition Art Print: This Frank Kozik Print is a promotional poster for a Sebadoh Tour. 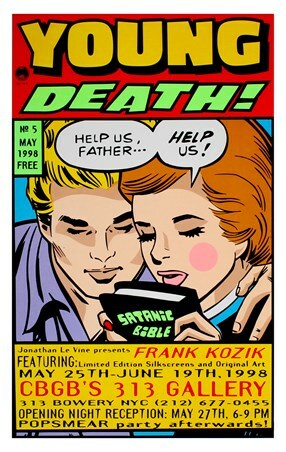 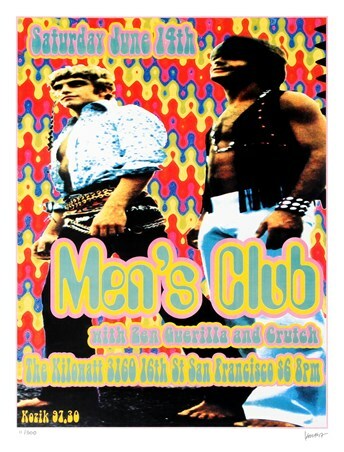 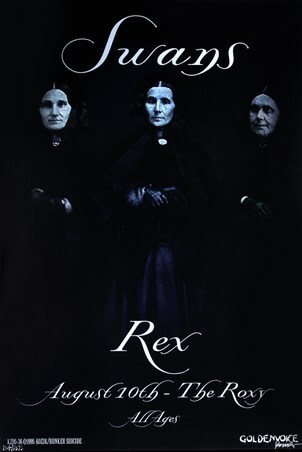 The American indie rock band were famed for their pioneering music and individual style so only the unique talent of Kozik could produce a poster that would imaginatively represent this band! This limited edition print is not only a wonder to look at but it has been signed by the artist and also numbered; it is a rare piece that any fan of Frank Kozik or Sebadoh would be proud to own. 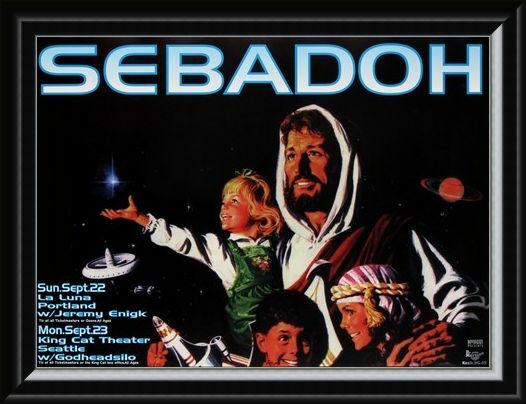 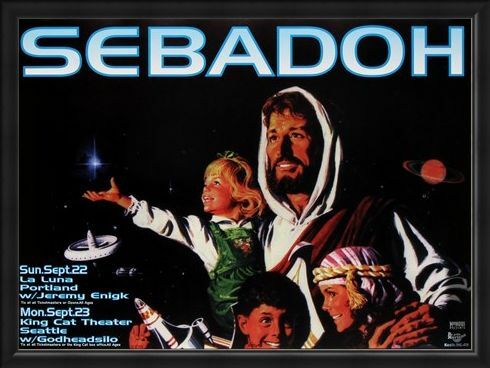 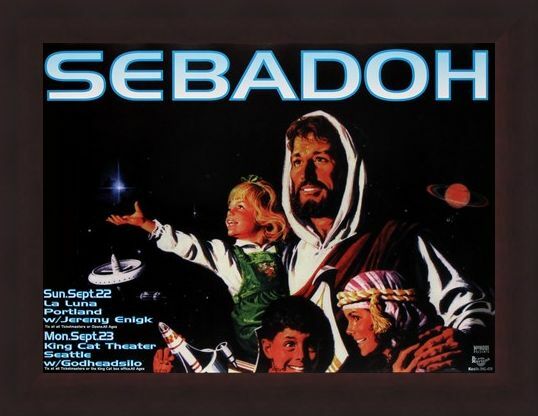 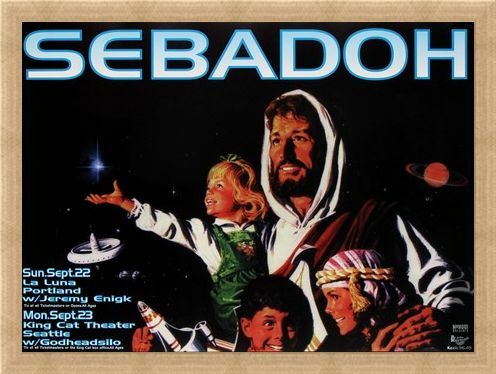 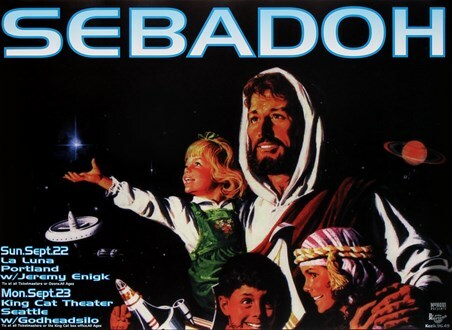 The science fiction style of the poster with a man and children seemingly exploring space also represents the outer limits and sounds Sebadoh explored with their music, this poster is a commemoration of a brilliant band and an amazing artist; it is out of this world and would be a great addition to any collection. 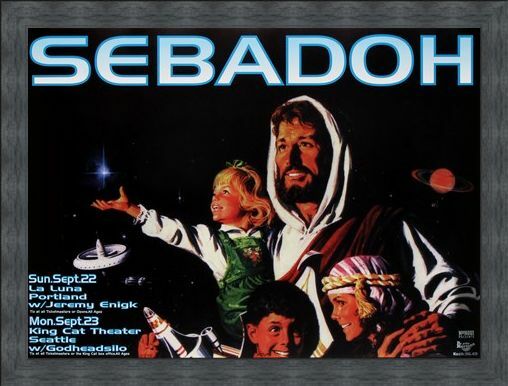 High quality, framed Sebadoh, Frank Kozik limited edition print with a bespoke frame by our custom framing service.